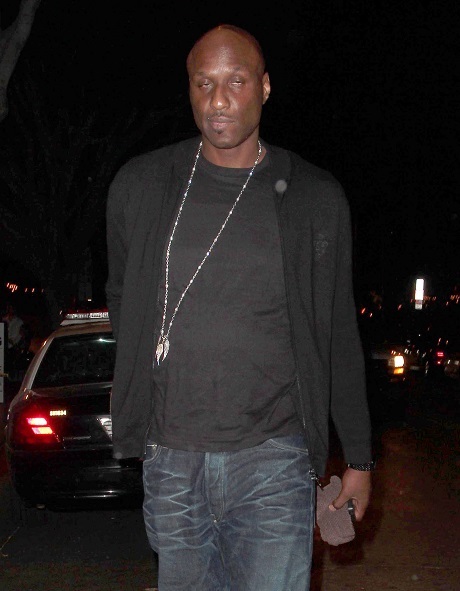 Lamar Odom Dating Hot Young Blonde: Wants Khloe Kardashian Divorce Soon! Forget all of those rumors about Lamar Odom pining away for Khloe Kardashian because that simply isn’t the case. Khloe has very clearly (and publicly) moved on with French Montana and so Lamar also has been spotted out with a new lady love. According to the July 14th print edition of Life & Style Magazine, Lamar was spotted in late June leaving an LA restaurant with a scantily clad blonde in her early twenties. Sources say that Lamar and the woman have been spending a lot of time together and that he loves her company. Usually, Lamar goes for super curvy women with dark hair, so this chick is quite a departure from his norm. Sources say that he is really into this woman and enjoying dating someone different for a change. Apparently, Lamar is happy to be free of the Kardashian attention-seeking machine and loves the fact that he can breathe again without a camera needing to document it. Here’s the real question though: Do you think that Lamar started dating this woman with the hopes that Khloe would get jealous and realize that she misses him? Is he really, consciously moving on or is this just a new game to try and win her back? Lamar had to move on eventually, right? He hasn’t been quite as public about it as Khloe — it almost seems like she has tried to make him jealous by flaunting her relationship with French, don’t you think? Let us know your thoughts in the comments section below. We’d love to hear from you. Khloe Kardashian Packs On The Pounds As Boyfriend French Montana Controls Her Diet And Life! Did Lamar Odom Give Khloe Kardashian STDs From His Crack Ho Mistresses?